Tobin No-Till are hitting the road with our “Demo Rig” this April and May across Australia. Why? 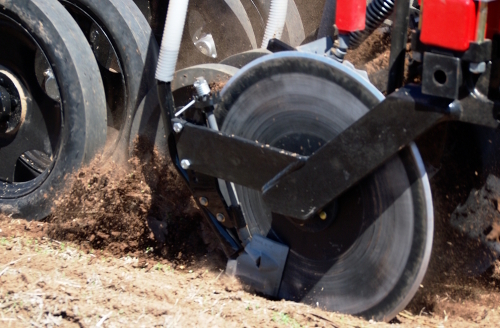 To showcase how a Tobin Drill works in your soils, ‘in your paddock’. The “In Your Paddock” no-till demo tour will be hosted in conjunction with your local Tobin No-Till dealer or direct should you not have a local dealership. This is a great opportunity to see the Tobin operate in your own soils, be it sticky mud, rocks, hard soils or unbelievable stubble loads. Having the Tobin No-Till Drill in your own paddock will demonstrate the outstanding soil flow that minimises disturbance and keeps the dry soil on the surface and retains only the moist soil at depth around your seeds. The proof is In Your Paddock, so invite Tobin No-Till to your farm this April and May!